Whether you're a General or an Artisan, there are a few basic things every contractor in CA needs to know when shopping for liability insurance. Why are you looking to buy insurance today? Is it because you're a subcontractor and your GC requires you to carry it? Or is it because, as a conscientious businessman you want the financial ability to correct any damage that may result, a fire maybe, or bodily injury perhaps, that could emanate from your acts, errors, omissions, or even the negligence of someone else whom you represent (like a product you install that ends up being faulty and the manufacturer is no longer in business)? For these and so many other reasons, General Liability insurance just makes good business sense. What's your personal threshold for turning in a claim? Think about the general risk you face as a business owner on a daily basis, and then try to separate those losses which you can easily pay out of your own pocket from the claim that will cripple or wipe out your business. From this stand point we recommend carrying a general liability deductible that is more in line with your personal philosophy for handling claims. Hence it's not necessarily a good idea to carry a low deductible if you know, for example, that any claim you incur from a third party customer or a general contractor which is under, let's say $2,000 you'll simply pay out of your own pocket. In this instance you'll likely want to carry a $2,000 or even a $2,500 deductible which will typically lower your general liability insurance by 15%. Not all deductibles are created equal. Most insurance agents fail to tell their contractor clients that there can be a difference between a property damage deductible and a bodily injury deductible. Knowing that, here's another option to consider. If you think there is a greater chance of having a property damage claim and less chance of having a bodily injury claim, or vice verse, then you may wish to have only a deductible for that claim which you think is less likely to occur and carry no deductible for the type of claim you think is more likely to occur. California Contractors, you've earned it. Be sure you get it. We're talking about the biggest free-be credit there is, the Loss Free credit. You may need to supply an experience letter from your prior carrier, or you may need to supply a letter on your company letter head, but either way, if you've had no losses, that's something to be proud of and something that should be rewarded. Perhaps you have a central station monitored alarm protecting your tools and equipment at night. Perhaps you have other loss prevention measures in place that you engage in to protect your job site. Be sure to know what those are and be willing to supply a letter to your agent in writing which can be given to the underwriters when submitting your application to demonstrate that you are a better-than-average risk and consequently deserve other general liability underwriting credits that may be available to lower your insurance rates. But don't be afraid to ask about what credits may be available and if your agent does not know, maybe it's time to switch agents. How to keep from breaking the bank. Let's face it. 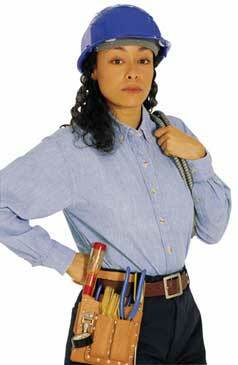 Shopping for contractors general liability insurance in California can be very tricky and very time consuming. But with the help of a good business insurance broker (and hopefully one who specializes in contractor insurance, not a generalist who claims to be a specialist), and armed with the knowledge you need, you can usually get much more insurance coverage for a lot less money. If your agent is not shopping your liability insurance then call an agent who will. Make them give you the list of companies they are applying to, in order to prove they're doing the leg work and not just saying they will. And if you're still not satisfied, call another agent and another agent, until you're sure the market is being covered and thoroughly shopped for you. These are a few ways that we like to educate our contractor clients. If you'd like to know more, we welcome your calls and stand willing to help you any way we can, even if it's only to help you keep your current agent honest and working harder for you.